Aristotle once described humanity as being a political animal, though by that saying I suspect that it meant that we were social animals, as opposed to animals who lusted for power. Honestly, not everybody lusts for power, but one friend of mine seems to divide people into three groups: those who are born leaders, those who do what they can to become leaders, and throw their weight around once they are in that position, and those who have absolutely no interest in leadership whatsoever. The problem is that most of the people who end up in leadership positions tend to come from the second group - he calls them beta types. 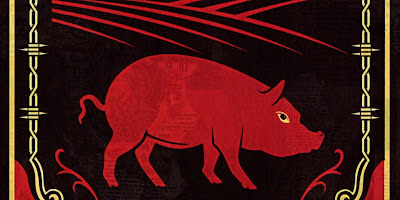 So, this post, not surprisingly, is about the book Animal Farm, and it is basically about how revolutions never work out for the best. 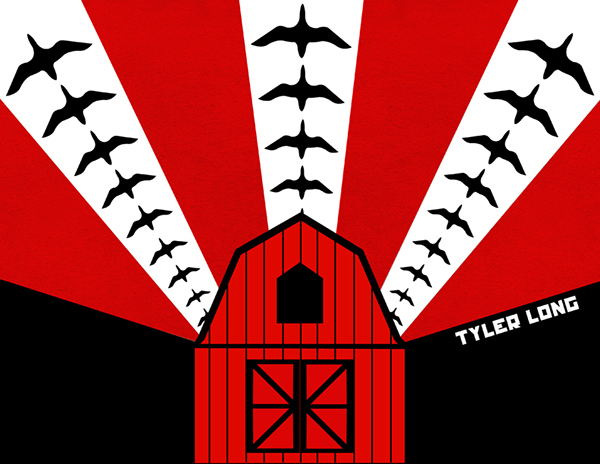 It is one of those books that is so well known that I would be wasting my breath simply describing the story, but in a nutshell, it is set on a farm where the farmer is basically quite negligent and brutal, and one day the animals get sick of his negligence and kick him out. The rest of the book is then about how this power vacuum is filled by the pigs, who proceed to roll back every single gain one by one until the animals are all back where they started (with the exception of the pigs, of course). One of the biggest misconceptions about the book is that it is a parody of the Russian revolution, and while in a way it is, in many ways it isn't. Orwell wasn't really sitting there pointing his finger at Russia and making statements that they had failed - that wasn't his style. Rather, he was pointing at Russia and through this book warning us against becoming to complacent, and basically handing over our freedoms one by one, until we wake up to discover that we are once again serfs. However, let us start by looking at Russia for a moment. What we saw was a spontaneous revolution and then a number of months later, in October 1917, a coup-de-tat which installed the Bolsheviks in power. At first Lenin decided to hold elections, however when the results put the more moderate Mensheviks in power, Lenin basically invalidated the election, and pretty much decided that elections weren't working and discarded the whole idea all together. However, things went from bad to worse when he died, because behind the scenes, Joseph Stalin was slowing worming his way to the top, and once Lenin had died, he pretty much seized power, and progressively began removing anybody that opposed him. I guess the takeaway thing from this video is that 'nobody rules alone'. For every ruler that comes along promising a better life for those that have put him there, there are people hidden behind the scenes that he must keep happy, least they removed him for somebody more compliant. This is the situation that Stalin was facing, because he knew full well that he was only in power at the will of those who put him there. Yet can we consider Russia a failed experiment? Sure, in the sense of setting up a socialist paradise, sure. There was nothing socialist about Russia - it was an autocracy through and through. Yet compare it with the basketcase dictatorships of places like Africa. Russia went from a backwards agrarian society to an industrial power house in a matter of decades. Russia also managed to beat the Nazis in World War II (though did have help from us Allies, and sacrificed many, many men). They put the first object, animal, man, woman, and space station in, space. Then there is the question of the space shuttle - a part of me isn't fully convinced that the Russians never launched one either. However, the system collapsed, and while one might champion Ronald Regan for that achievement, in reality it collapsed under its own contradictions. The problem with the Soviet Union was that without any incentive, there is no reason for people to work, and when nobody is working, nothing gets done, and pretty much society collapses. This is one of the strengths of capitalism because we are given incentives to achieve, and to achieve a high standard. Mind you, there is also the sense of competition as well, and that only works to drive us further. However, one of the things with this book is not so much about evil governments, but rather how people manipulate language to remain in power and to control the population. In fact this idea is something that appears no only in Animal Farm, but also in 1984. 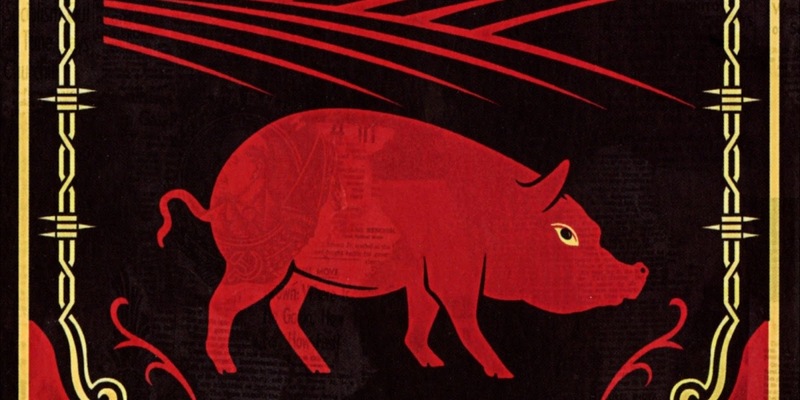 What I noticed is that both books deal with the same topic, except that Animal Farm looks at it from a broad, top down view, whereas 1984 explores it from the view of a single character. I have even heard some people go as far as to suggest that 1984 is just a much longer version of Animal Farm. Yet language is very important, but not just language, but memory as well. This is why the Internet is so insidious because it has the effect of messing with our memory. Okay, it may appear that we literally have all the information we could have ever wanted at the tip of our fingers, but the reality is that the information we have could quite well be false. This is actually a tactic that some people use to control information - by spreading so much false information, you suddenly no longer know what is true and what is false. This is how people prevent spoilers of popular movies from being released, and that is through the use of 'false spoilers'. It sounds a bit like fake news, doesn't it. Actually, isn't it interesting that Donald Trump has actually introduced the concept of fake news into our language. Suddenly, we see people challenging things that they don't like by claiming that it is fake news. Is that the case, is fake news something that we don't like and thus we discredit it by claiming that it is false? Or is this just another way of controlling information, by claiming that there is so much fake news out there that suddenly nobody knows what is true and what isn't. 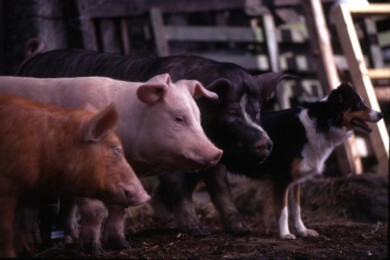 Animal Farm was slightly different because not everything was written down, and as such because everything was handled verbally, it was much easier to control people's memories. That is the key point here, the control of people's memories. When one controls the past, one can manipulate the past into almost anything that they want. In fact I have had arguments with people that have blatantly lied about the past, and when challenged, they simply ask for evidence. This is another tactic, because if you need to dig up evidence, all of a suddenly, you have given them the victory. Maybe that is a better way of dealing with this assertions - instead of challenging and getting into arguments only to find that you have to produce the evidence, throw it back on the person making the statement and see what they produce. Isn't it also interesting how straight after the revolution a constitution was placed up on the wall of the barn, but as the book progresses, one by one those laws are changed. The fact that the animals can't read, and those that can, start questioning their memories, is also important. Look, don't get me wrong, constitutions are incredibly powerful documents that separate us advanced democracies from mob rule. The existence of a constitution sets out the powers of government, and limitation of those powers. It is interesting how here in Australia, there was a lot of political resistance to a bill of rights. The main argument was that a bill of right enshrined in law takes these powers out of the hands of an elected parliament and puts them in the hands of unelected judges. At first that sounds like a good argument, until you realise the politicians generally don't have their constituents concerns at the forefront of their mind. In reality, politicians do not like restraints on their power - no rulers do, and the resistance against the bill of rights is a clear example of that. Yet, do constitutions really have all that much power? Well, in a way yes, and in a way no, because like all legal instruments it is open to interpretation. Take Animal Farm for instance. The constitution said that no animal was allowed to sleep in a bed, but the problem was that technically, the hay that the animals slept on, was a bed, so it had to be interpreted to allow animals to sleep on hay. Further, there was the rule against drinking alcohol, but surely that couldn't be a blanket ban, so instead it was interpreted to mean no alcohol 'in excess'. However, Constitutions should be open to interpretation because times change. Things have changed a lot since 1900 when the Australian Constitution came into being. In fact the whole citizenship mess was testament to that. Back in 1900, everybody was a citizen of Britain, but over time, Australian and British Citizenship have become two separate things. There is also the issue of Freedom of Speech. It is interesting the lengths people go to interpret what Freedom of Speech actually is. Do I have the freedom to incite race riots? I don't think so. What about hate speech? Then there is the lawfully constituted militia? Is that a police force or something else (my understanding is that it is something else). The warning that Orwell is giving us though is to not let history become a thing of the past, to be manipulated and controlled by those in power. We need to take control of history, and to have it accessible, and free. Yet, that isn't necessarily going to stop those who seek to manipulate it for their own ends. However, one needs to equip themselves to be able to take the fight into their own territory. What really stood out were the sheep who kept on bleating 'four legs good, two legs bad', right through the book, until it was no longer convenient. All of a suddenly, out of the blue, their bleating had changed to 'four legs good, two legs better'. Yet, this was put to such success, in that during the debates, the sheep would suddenly start bleating out their sayings and all reason was thrown to the wind. We saw this with Trump, and we saw this with Abbott in Australia. In fact we continue to see it. Take the refugee advocates. They work long and hard to fight for the rights of refugees, and as soon as it seems that they are gaining traction, all of a sudden the shock jocks hit their airwaves and completely destroy all that work. They don't even need to speak the truth - all they need to do is scream out some blatant half truth, and the main stream media will immediately eat it up. In fact, when the father of Australia's first female Prime Minister died, one of these shock jocks hit the airwaves and said that 'he had died of shame'. Guess what, he is still on the airwaves. The thing with three word slogans is that not only are they easy to remember, but they can completely destroy a well balanced argument. The same with the idea of the core and non-core promises. The problem is that they never actually tell you which is which until the elections have passed. Sometimes I wonder whether it will actually be possible to hold politicians up to the same standards that we hold companies to with regards to truth in advertising, but then again how are we going to enforce it - all they need to a well rounded argument to justify why they had to break that promise. This is why I can't say that Orwell is pointing at Russia with this book, namely because at the end the pigs had started negotiating with the humans. In fact they started off selling a few things, but ended up getting more and more, until such a time that they were back where they had started. In a way you could see that this was where they were heading all along. The revolution had happened, and there was a power vacuum, and sure enough the pigs took advantage of this to establish themselves. They were clearly the most intelligent, and also the ones who were able to maintain stability. Yet we see things aren't going to turn out all that well as soon as the milk disappears, and then when it is discovered that the pigs stole the milk, all of a sudden there is an excuse as to why it was necessary. The other thing were the dogs - Napoleon took control of the puppies straight away, and in that he became the puppies' father, he was able to control them, and keep them in line. Not only that, but they were at his beck and call. Notice how things also move slowly, and as the years pass, and the memories become ever more distance, things slowly revert back to their mean. Once again, we are constantly reminded that what we have now is better that what it was like back then, and the further in time we move from that period, the less we can remember. In fact it is at that point that the past beings to be manufactured. The past was always worse, and the present is always much better that it ever was, and the thing is that we don't remember the past, and quickly lose any ability to compare the past with the present, to the point were the past is little more than a pure construct.